AppsPlus has years of experience in database development. As a Microsoft MVP, AppsPlus specializes in Windows and web-based programming. The president of AppsPlus, F. Scott Barker, has written multiple books on programing. AppsPlus has been working with the dtSearch Text Retrieval Engine for nearly a decade. AppsPlus' client needed to integrate search functionality programmatically with a Visual FoxPro application. AppsPlus provided the solution with two custom applications written in C#.NET on top of the dtSearch Text Retrieval Engine: ProtoIndexer and QuickBrowse. ProtoIndexer utilizes XML to allow the user to specify folders to index or re-index, either on-demand, or at a scheduled time. QuickBrowse displays search results and highlights hits in retrieved files. Both integrate with the dtSearch Engine and the client's existing Visual FoxPro application. “dtSearch gave us the flexibility we needed in working with C#.NET and our database backend,” explained Mr. Barker. 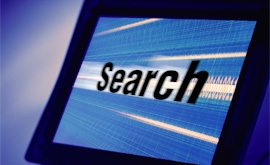 dtSearch is “a phenomenal search engine,” adds the AppsPlus site. AppsPlus' clients for software development include industries ranging from the government, insurance, banking, medical analysis — even projects for Microsoft. Mr. Barker, a former Microsoftie, is the author of a multiple books published by SAMS and Wrox Publishing on programming techniques, including Wrox's C# Express Starter Kit.